The COBB Tuning 3″ Titanium Cat-back Exhaust is now available in our Stage Packages! 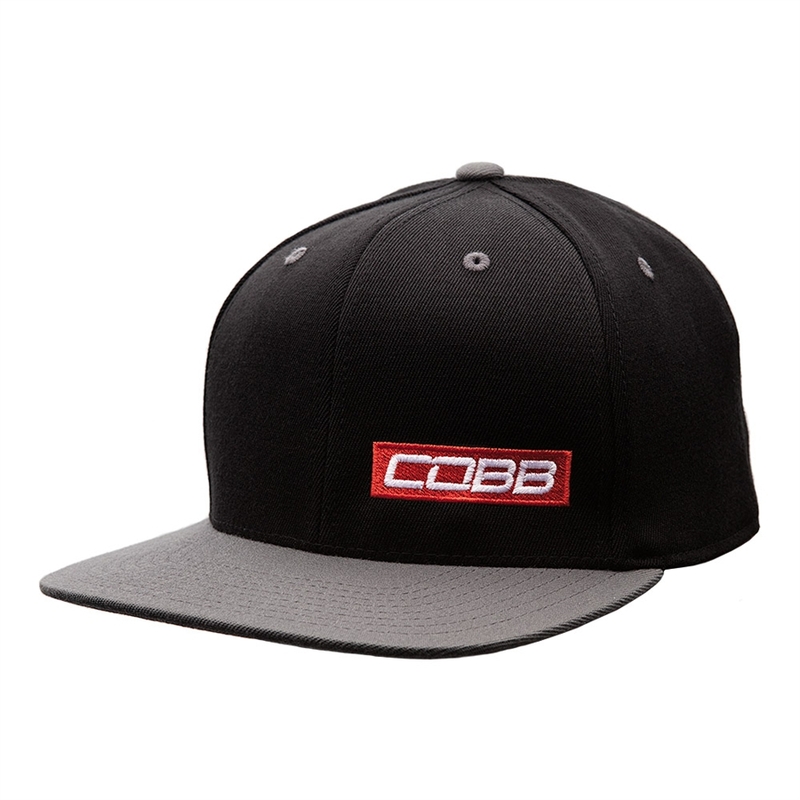 The COBB Titanium Cat-Back Exhaust is unmatched in build quality, style, and performance. Utilizing grade 4 titanium tubing, this cat-back offers high corrosion resistance and protection from impacts. Back purging ensures quality welds that will not fail due to contamination. 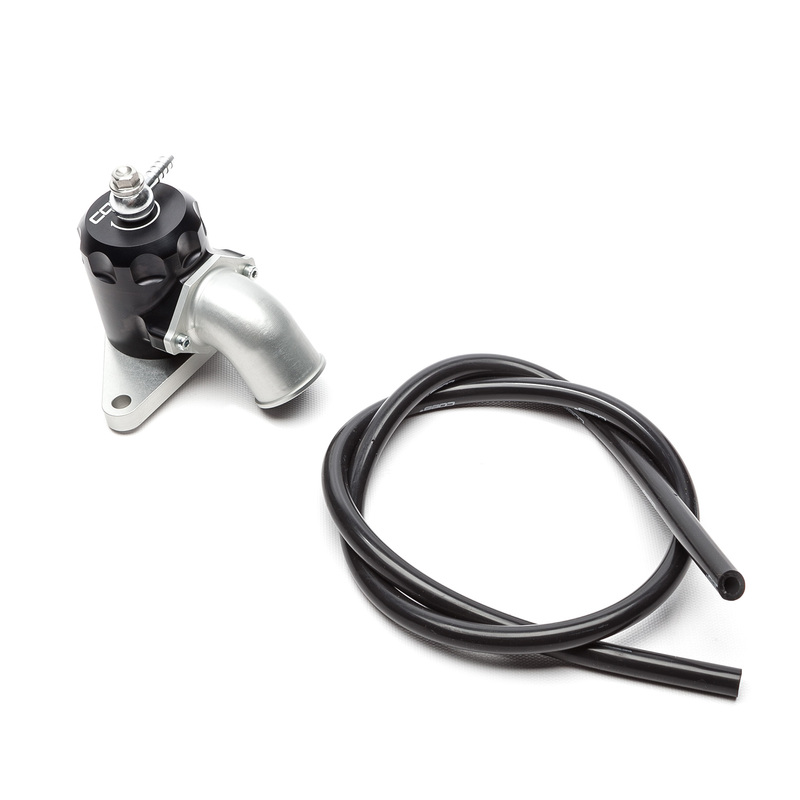 The entire system uses slip-fit connections allowing for a wide range of adjustment. Blued titanium tips add a distinct touch and offer adjust-ability. Best of all, this complete system weighs in at 24lbs assembled; nearly 50% lighter than it’s stainless steel counterpart! It is compatible with the 2011+ Subaru WRX/STI and there are several packages to choose from! Want that tasty titanium goodness on your 2011 – 2014 WRX Sedan? 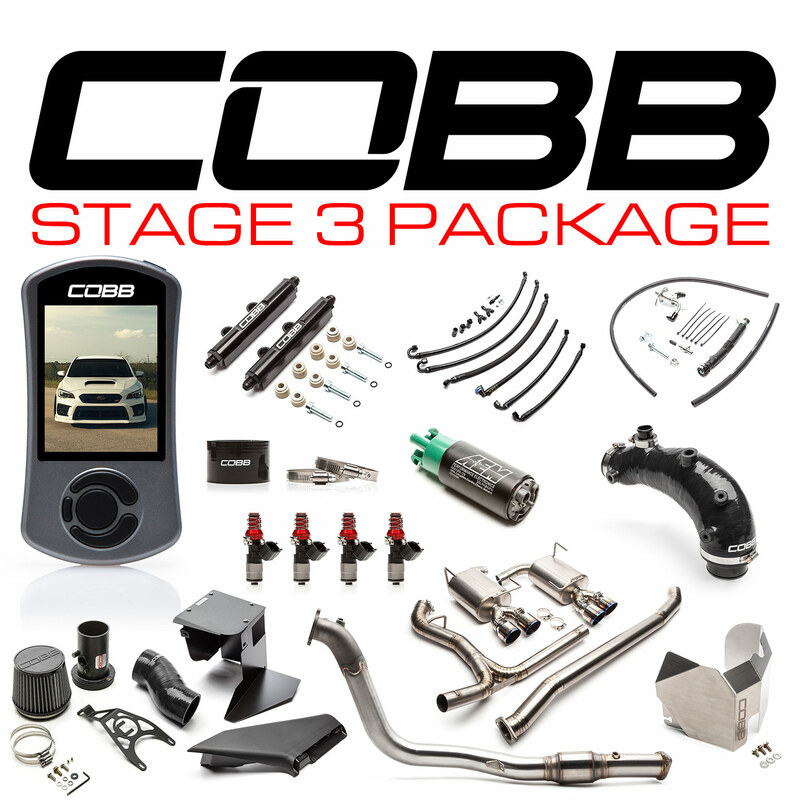 Below are the options ranging from the Stage 2 Power Package up to our Stage 2+ Power Package! Click on the package for more details! The 3″ Titanium Cat-back Exhaust is now offered in every Stage Package for the 2011 – 2014 STI Sedan. These range from the Stage 2 Power Package which utilizes a full turboback exhaust with heatshield all the way up to our Stage 3+ Flex Fuel Package which offers the ultimate full bolt-on modification package! Stage Power Packages for the 2015+ WRX 6MT are also offered. 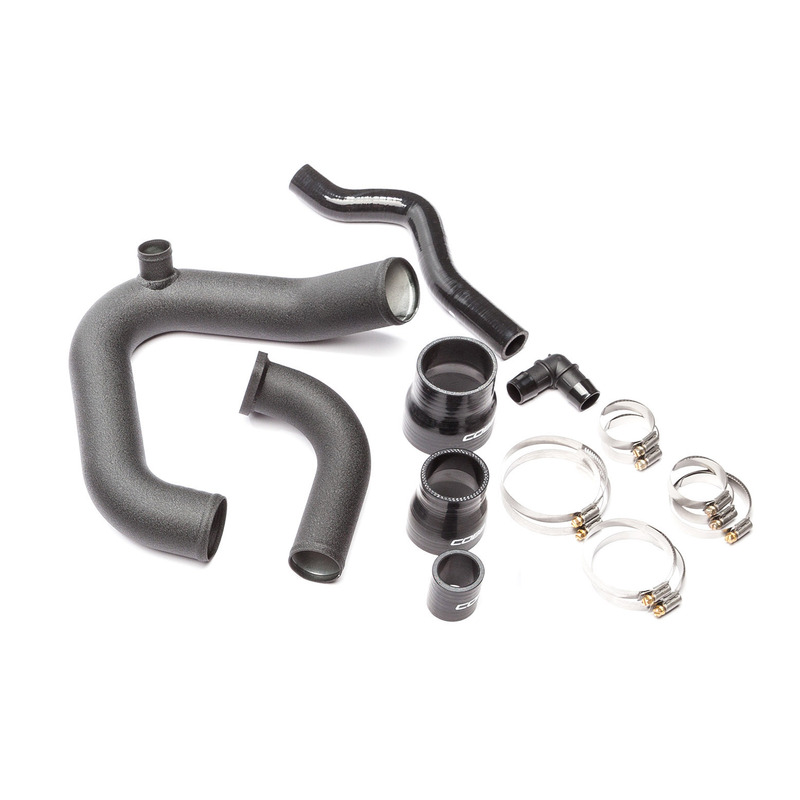 These include the Stage 2 and Stage 2+ Power Packages available with either a resonated or non-resonated J-Pipe! Below are the Stage Packages that now include the 3″ Titanium Cat-back Exhaust for the 2015 – 2018 STI Sedan. These range from the Stage 2 Power Package which utilizes a full turboback exhaust with heatshield all the way up to our Stage 3+ Flex Fuel Package which offers the ultimate full bolt-on modification package! Below are the Stage Packages that now include the 3″ Titanium Cat-back Exhaust for the 2019 STI and 2018 STI Type RA . These range from the Stage 2 Power Package which utilizes a full turboback exhaust with heatshield all the way up to our Stage 3+ Flex Fuel Package which offers the ultimate full bolt-on modification package! Do you have any plans to create a titanium catback or turboback kit for the 11-14 Subaru WRX USDM Hatchback? Alternatively, is the kit for the sedan compatible with the hatchback? Lastly, does the sound of the titanium kit differ from the Stainless Steel option? There are no plans to create a titanium downpipe. Unfortunately, it is not compatible with the hatchback. The sound does vary a bit from the stainless. It will sound very similar to the STI sound check video in this post. I’d love to have a titanium exhaust on my EB Mustang. Is that in the works? It is not. Sorry for the bad news.